This iconic hangout is the place to be for all seasons. With a backdrop overlooking the city skyline across the Yarra River, it is one of Melbourne’s’ best views. It offers an extensive menu and loves to cater to the crowd. With the inner city clientele, they know they have to offer great service food and flexibility. If you only have time for a quick bite, you can phone ahead and have your meal waiting for you on arrival. Or if you want to take the staff out for a celebratory meal they have tables that can cater for 12-40 guests. Often a popular central location for birthday celebrations and special occasion events. No matter what time it is you can satisfy your appetite with their extensive breakfast, lunch and dinner or all day weekend menu. They are open from 7.30am until late 7 days a week. What makes this hotel a meeting place of choice is their all weather protection. 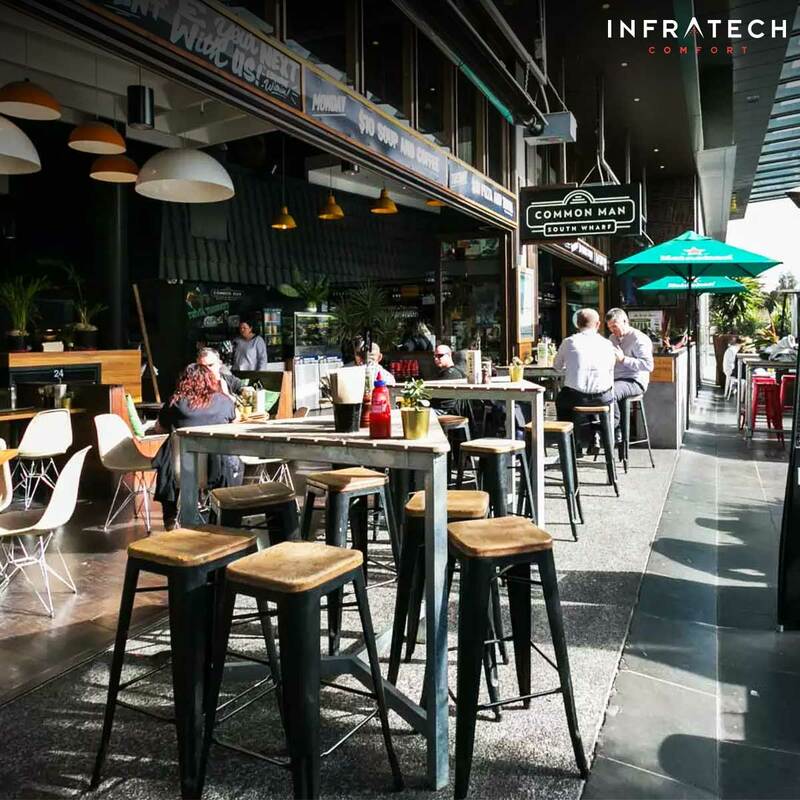 In summer it is the perfect place to enjoy the best of Melbourne’s climate and in winter they have Infratech infrared heaters to keep the customers warm and cosy. Even in spring when the nights get a bit colder the Infratech’s can be turned on to keep the temperature pleasant. Infratech commercial grade heaters can be flush, ceiling, wall, or pole mounted. They are so popular worldwide they can be found in homes, restaurants, nightclubs, hotels, resorts, cafes etc. 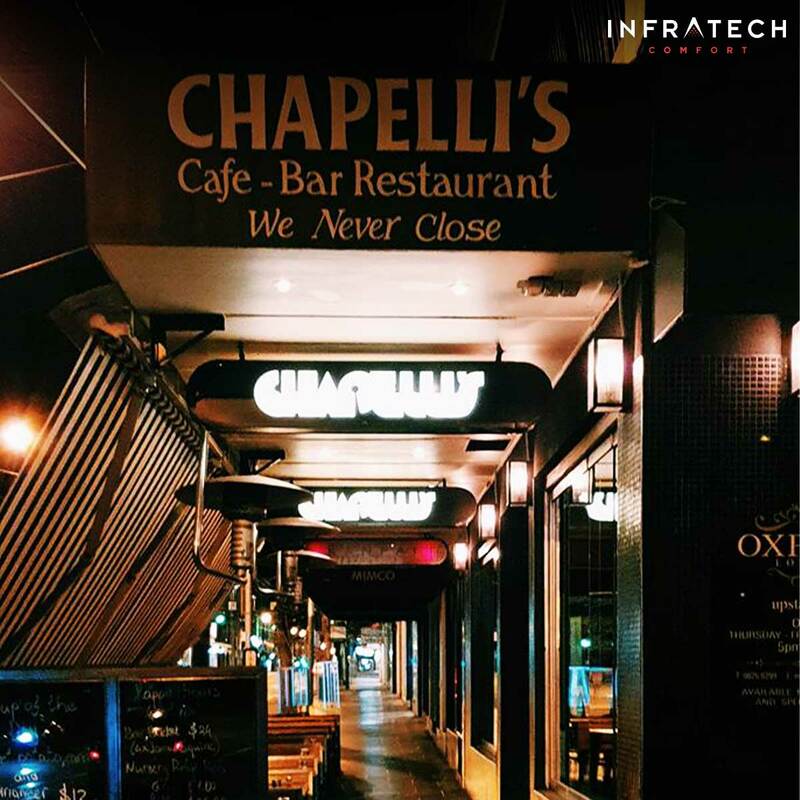 One of Melbourne’s entertainment most premium entertainment precincts in South Yarra and Chappellis is one of its best-known institutions. Like all good cosmopolitan destinations, it is open 24 hours. With a choice of breakfast, lunch, dinners, supper, dessert or just a convenient meeting spot at any time of the day, Chapelli’s is a year-round favourite. No matter what time you decide is breakfast time, they have the breakfast menu from 6 am until 4 pm. Not only does Chappelli’s have a menu for each different meal, but it also has an enviable cocktail list. How do you keep warm at 3 am in the middle of winter though? Chappelli’s secret weapon is Infratech commercial heaters. Made with a quartz heating element, they are designed to heat object including people and furniture, not the air around you. They are direct and have a heating span of up to 4 metres. Architects and designers all over the world are asked to incorporate Infratech heating into building plans. They are environmentally friendly and have a 90% efficiency rate as opposed to gas heating or wood which has <50%. Located in one of the best-known streets in Melbourne, the architecture and history of Collins street make it a popular central location. Collins Quarter is no exception. With a sophisticated old-world feel, this very special gathering spot caters for all entertaining needs. The special Doc Martin room serves breakfast from 7.30am. It then transforms into a buzzing meeting place after 5 where you can meet for a drink or dine in sophisticated elegance, thanks to the European influence in the space. With a very special private dining room you will feel as though you are the only people in Melbourne eating. This beautifully 19th-century room has all the history and design that was able to be preserved. With the original fireplace and stained glass windows, this area can seat up to 40 guests. Collins corner area is a nice little nook where you can settle in for a few drinks or a quick bite to eat with the fireplace crackling until the wee hours. This beautiful outdoor living space provides a convivial atmosphere where you can enjoy the fresh air and good weather. The Pink Alley Bar is a new open-air addition to Collins Quarter. A small intimate space allows for quiet conversations with a relaxed atmosphere. The Blind Alley Bar is the place to be for a party style atmosphere. Rain hail or shine you can let your hair down in this area which includes a retractable roof. 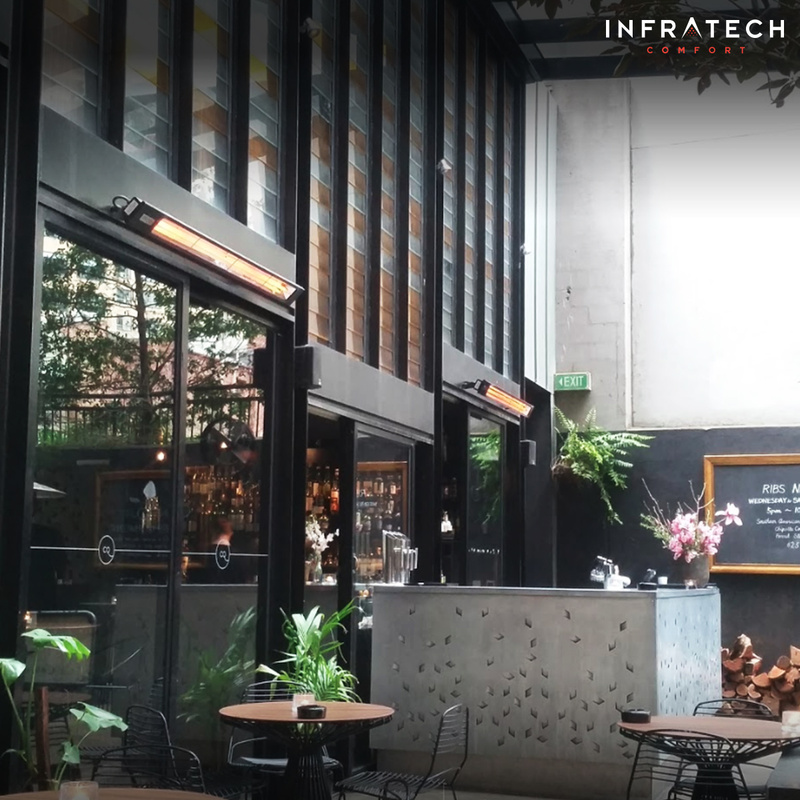 So if the sun is shining you get to enjoy the rays but if the Melbourne weather is not so kind you can keep warm with the roof closed and the very effective Infratech infrared heaters blasting out the warmth.